An instant, flexible load server. 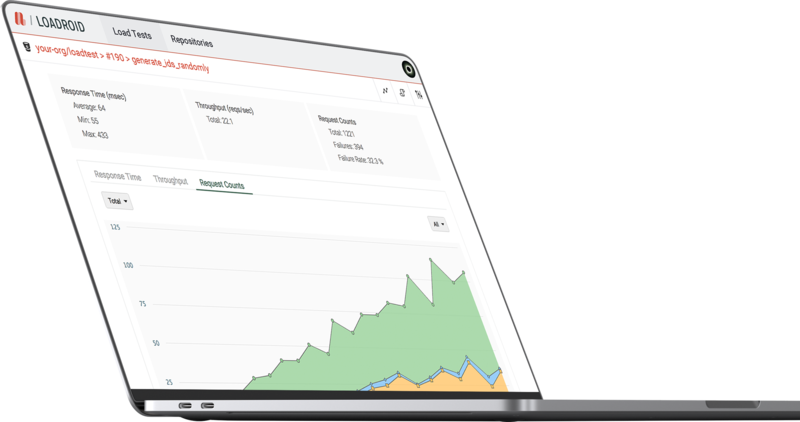 Loadroid gives you one-click access to a massively scalable, zero administration load testing platform. Loadroid is designed to be a part of your DevOps workflow, Trigger load tests in each git push and build it in to your CI pipeline. Easily configure your load test scenarios in YAML and watch Loadroid scale to meet your needs. Loadroid manages all the infrastructure needed to run your load tests, freeing you to focus on building valuable APIs. Ready to get started with Loadroid?